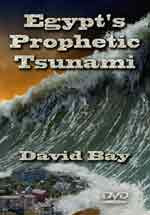 Some events described in the Bible were so momentous that they reshaped entire nations, changing the course of history. Like the 10 plagues that literally destroyed the land of Egypt… Like well over a million people leaving Egypt overnight… Like the conquest of Canaan. The answer is a resounding “No!” The evidence is there all right—but archaeologists have consistently assigned it to the wrong time period, breaking the connection between the evidence and its biblical causes. This film showcases amazing evidence of the arrival, multiplication, and then descent into slavery of a Semitic people in Egypt; evidence for the collapse of Egypt, along with the mass exodus of the Semitic slaves; evidence for the conquest of Canaan, with sites like Jericho lining up perfectly with the biblical text. A compelling watch, featuring interviews with leading archaeologists and biblical scholars against a backdrop of stunning video and animation, it is no wonder Patterns of Evidence: Exodus has already picked up a slew of awards!